The good news for senior citizens as far as travel insurance is concerned is that prices have been reducing over the years. Competition between companies means that insurance providers are always looking for new customers and areas where they can expand their range of policies. Insurance companies now provide policies specifically designed for the older traveller and this can mean greater discounts on travel insurance than ever before. When discussing your policy you should remember to tailor it around your needs. You may be planning an active holiday full of scuba diving or winter sports activities and these sports, and the risks they bring medically, should be included in your policy. The number of times a year you are going on holiday may also be a factor. You may get discounts on travel insurance if you are only planning one trip a year, or there may be special overall discounts if you are planning to take a few holidays over the course of a year. But these factors are dependent on the insurance company and some may impose higher fees for multi trips or single trips, so it is in your best interests to shop around. 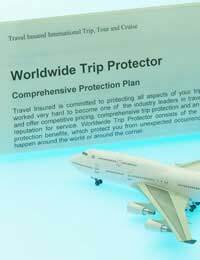 It is always good to obtain a bargain but in terms of cover, the travel insurance policy should not be skimped on. Rock bottom prices for travel insurance may mean a very basic form of coverage and in the long run it could mean that you will lose money if you have to make a claim. The higher end policies will include translation services, help with lost luggage, help with stolen passports, and medical cover for up to £10 million pounds. You should weigh up peace of mind for you holiday against the price that you are asked to pay. There are many insurance companies linked with big brand age awareness companies. Some companies included Help the Aged and Age Concern have excellent insurance policies that can be tailored to your needs at very reasonable prices. Holiday companies such as SAGA, as well as the two previously mentioned companies have no upper age limit on their travel insurance policies. You can also ask these companies on the rules and regulations regarding free medical assistance, which is dependant on the country you are visiting. All of these companies and information on various quotes and cover can be found on their websites. Before you leave for your holiday, remember to apply for and receive your European Health Insurance Card. If you are resident in the UK this card will help receive vital medical treatment with reduced or free fees. The card is valid if you are travelling to one of the European Union countries. When trying to obtain discounts on travel insurance make sure you shop around and receive a few free quotes before deciding. Remember, you are on holiday, and adequate travel insurance is one thing you should purchase, and then forget about until it becomes necessary. Having peace of mind on holiday might mean spending a little extra but it may be worth it in the long run.